Purpose: Use this document as a reference for using early alert in ctcLink. 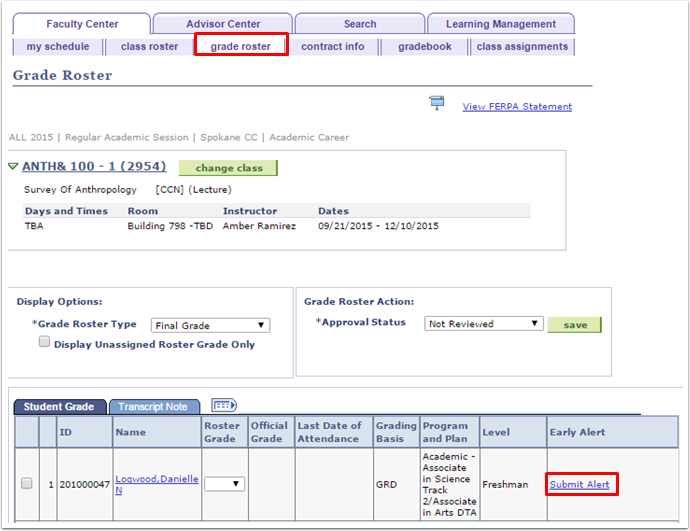 From the Faculty Center page, click the Grade Roster tab. 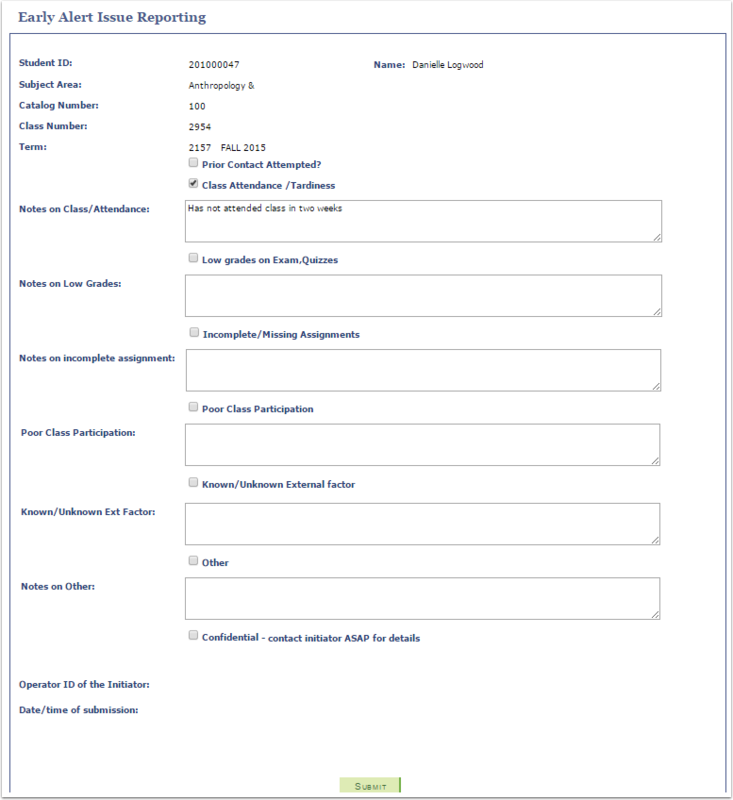 Select the Submit Alert link for the student.